BRIGHTON, Mich.- As the colder weather continues to move in, your Ford Dealership Serving Howell, MI is here to remind you that it's time to get your vehicle ready for the season and we have some great Service Discounts for Howell, MI! You probably already know that you should take a look at your tires, but you can save money on a tire rotation with Brighton Ford's Tire Rotation Coupons for Howell, MI! If you need to replace your tires before the snow starts falling, we can help you with that too, just come on in to our service center! 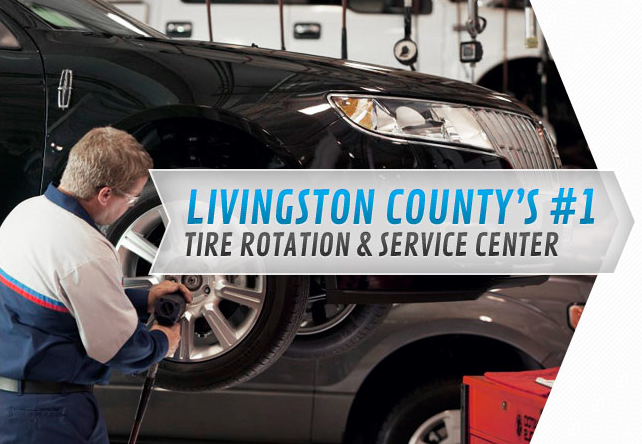 Plus, while you're getting your tires rotated, take advantage of our Oil Change Coupons for Howell, MI too. Your vehicle will be ready to take on the next few months after visiting the Brighton Ford Service Center, so come on in today! Your Howell Ford Dealer, offering Howell Service Discounts is located at 8240 Grand River Ave. just north of I-96 in Brighton. We are a family owned and operated business that strives on customer satisfaction. For more information on Brighton Ford visit BrightonFord.com or give us a call at (800)-836-8206.